alamode: Ten June- Home Tour Updates! Hi there all of you A' La Moders! I'm Michelle from Ten June. I'm not gonna lie, I'm kind of mad at Shelli. She promised that she'd pack me in her suitcase when she headed to the beach this week. But, ahem, she didn't!! Only kidding, only kidding. I hope Shelli is off having a fabulous, well-deserved time and, meanwhile, I'm the lucky duck that gets to hang out with all of her readers! I share Shelli's passion for all things interiors. In fact, my hubs and I have spent the last year (and probably a few more after this!) renovating our new-to-us-but-old-to-the-world 1952 ranch. 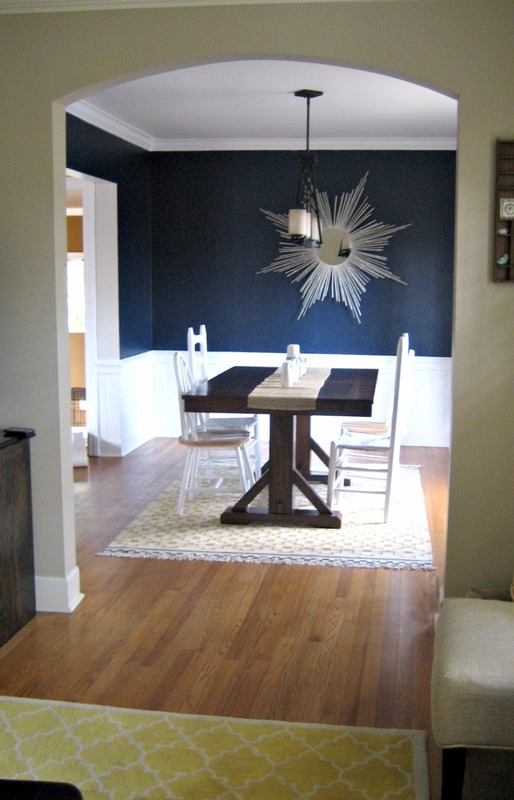 One of my absolute favorite projects that we've done is the makeover of our dining room. Here is a little story of our dining room's history. The wall color is Behr's Starless Night and I loooove it! Here are some shots of my Ikea rug and the DIY sunburst mirror I created. 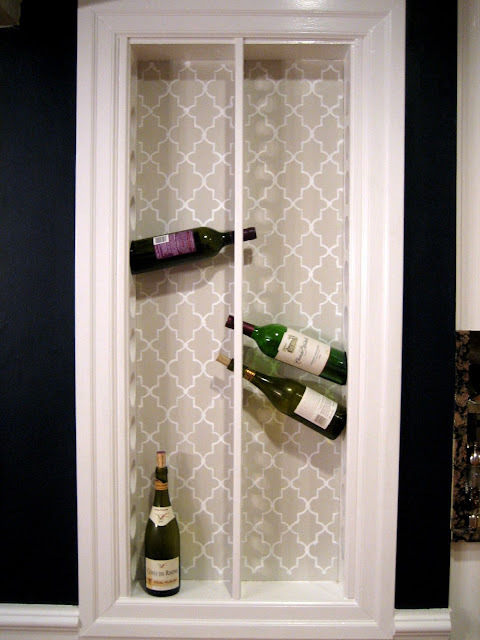 I also used a quatrefoil stencil to paint the back of my built-in wine rack. I also just switched out the lighting with a new white pendant above the table. So as you can see, we've done a lot of work to the room! The navy blue was certainly a risk, but oh how I love it! And I hope all of you like it too! WOW! Thanks Michelle! Um, can you please come to my house right now and make me a cool stenciled built in wine rack? I'll take one in every room! Oh wait, is that wrong? Okay, well maybe make me one of your AWESOME sunburst mirrors for my living room? K thanks! 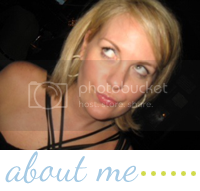 Ya'll Michelle is a super sweet funny chick with a great blog! If you don't already follow her, go check out Ten June! for the nursery feature today! 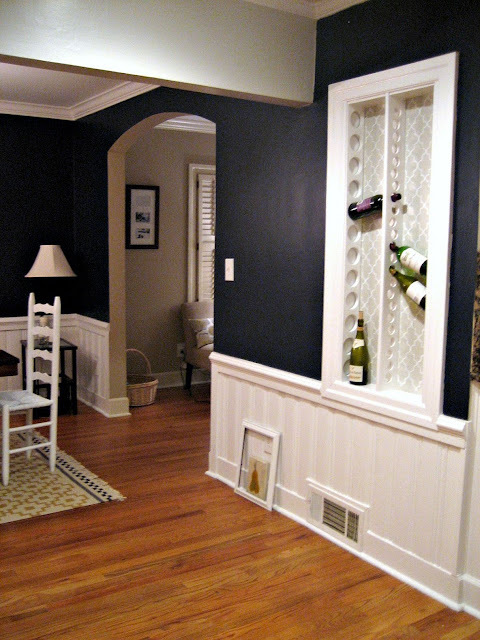 Love, love, love the wine rack and the dark wall color, it makes the room. 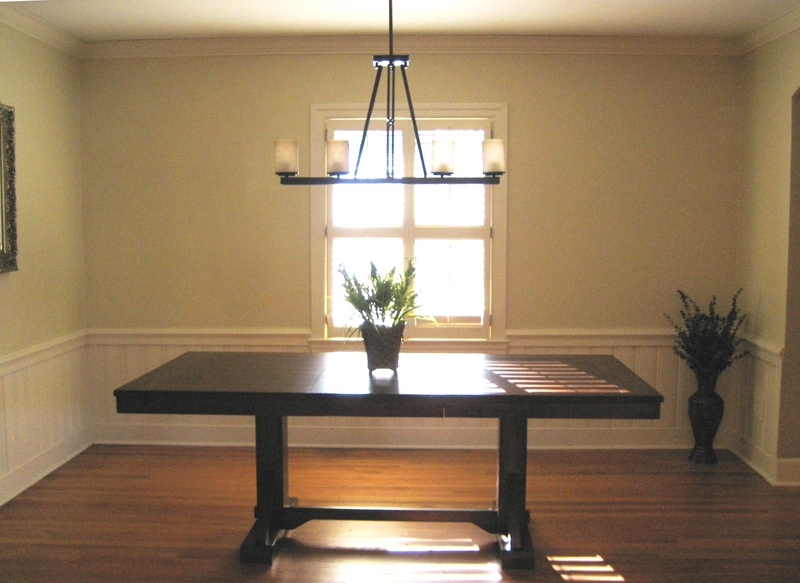 I think a navy dining room looks so elegant. And the built-in wine rack is fantastic! Michelle has done such an amazing job! Love you both. Hope you are enjoying your trip, Shell! Love the navy wall and that Ikea rug! 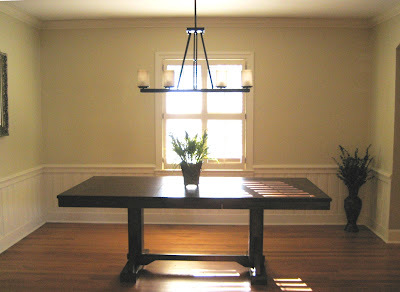 Michelle has done a wonderful job with her dining room. It's very striking. You both are wonderfully talented women! What a great post, the room looks fantastic! I want one of those built in wine racks, stat! 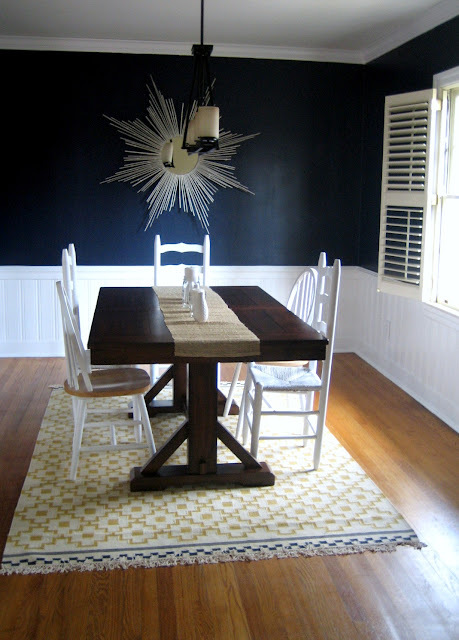 LOVE every bit of your dining room Michelle! Shanna- the rug is from Pottery Barn. 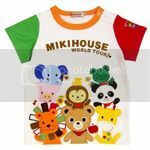 It's discontinued but I think you can find it on Ebay! Love Michelle! I want her to make me one of those mirrors too! Yay Michelle! I love her mirror. She's done SUCH a wonderful job with her home!! !